Quite a captivating piece this is! 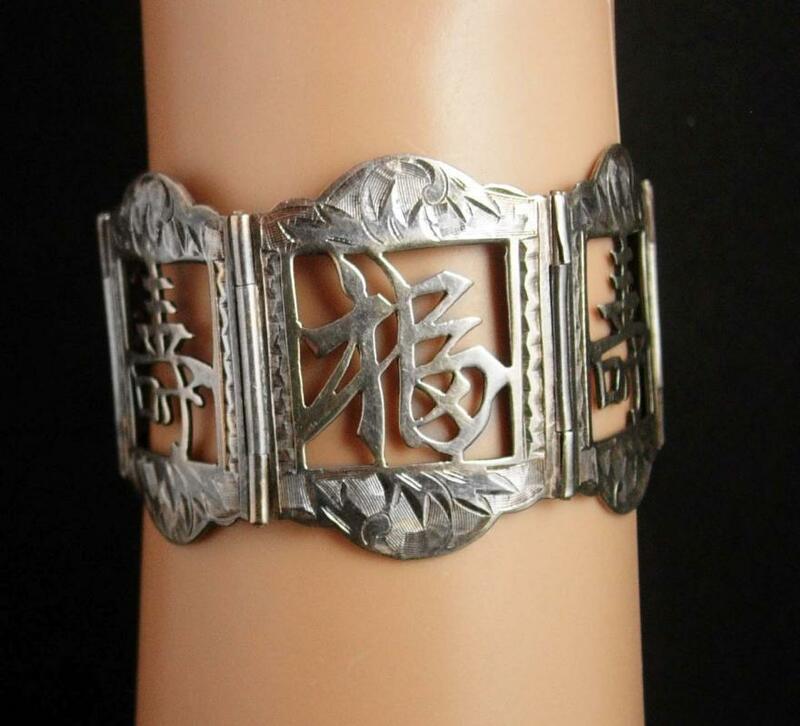 6 different panels with a different Chinese good luck symbol. 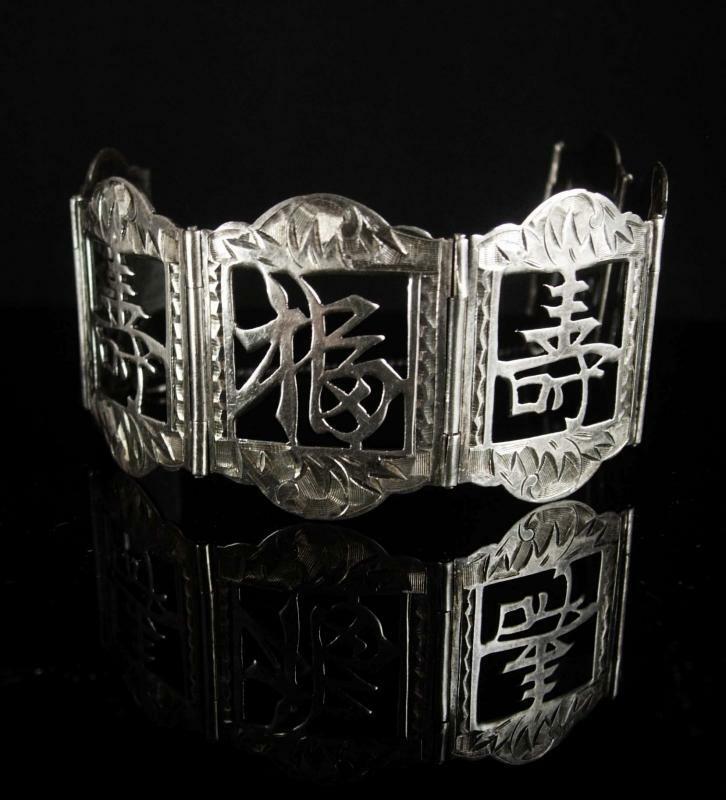 Solid sterling with hand etched panels, this is a great bracelet. 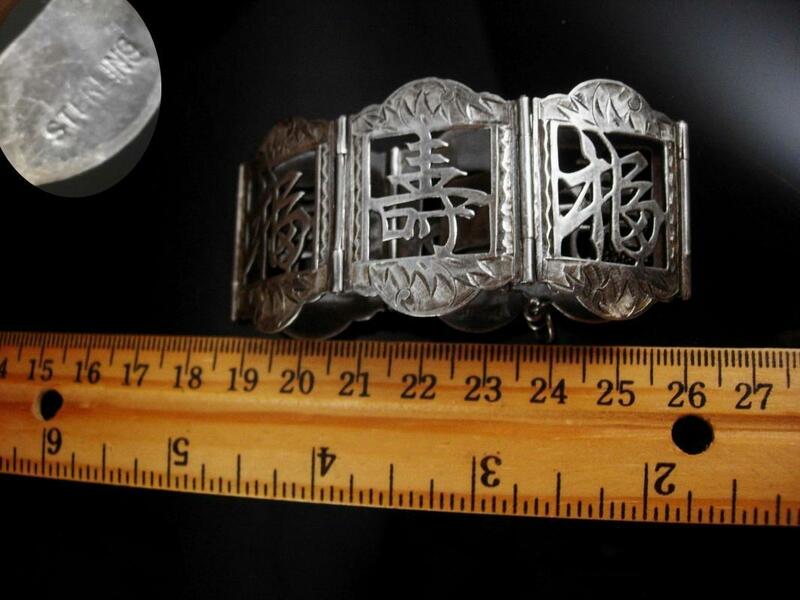 The bracelet measures 6 1/2" long x 1 1/2" wide. This has a hidden slide in catch that works great. 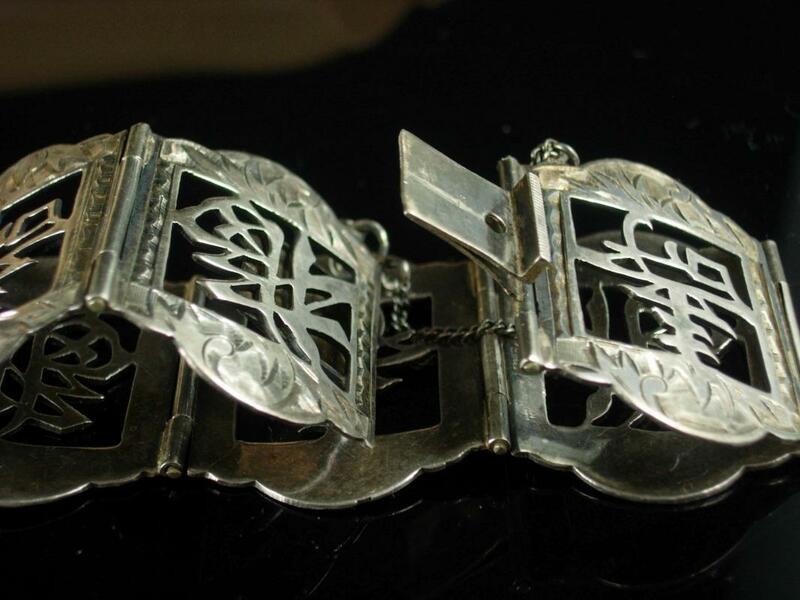 Each hinge is secure and it is very well made and sturdy. It weighs 35 grams. Ask about our ten percent off special before you buy, it could save you a lot of money. VintageSparkles offers Layaway on all our pieces regardless of which site it comes from.All layaway payments will need to be in the form of a check or money order only. Please remember that vintage & antique items are not mint, nor are they perfect but they sure are full of old history and charm. Please use photos to make your decisions and read our policies prior to buying so you can have an excellent experience with us. If you want to see more of these pretties this is the link to my store. 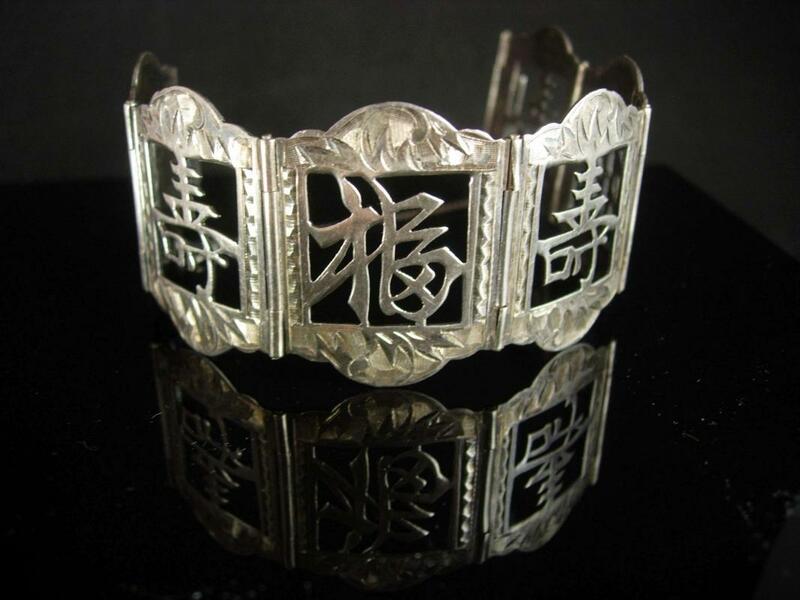 Items Similar To "Sterling chinese bracelet Antique Chinese Bracelet vintage Wide s..."